We aren't all Instagram certified makeup babes like Amrezy, Desi Perkins or Chrisspy (lesbihonest). Sometimes it's just easier to opt for a makeup look that feels good and doesn't take up half of your day to put on. 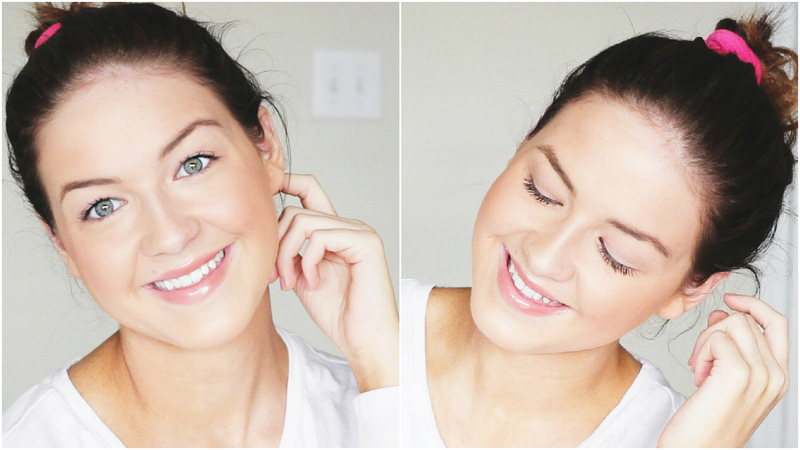 A few weeks ago I posted a "Lazy Girl's Guide to Makeup" tutorial on my channel and many people seemed to like it. So I thought I would break it down over on my blog for you! These three products require only your hands or fingers. If you don't have an enormous brush stash or simply don't want to fool with pulling them out for a quick look, these three gems will be your best friend. 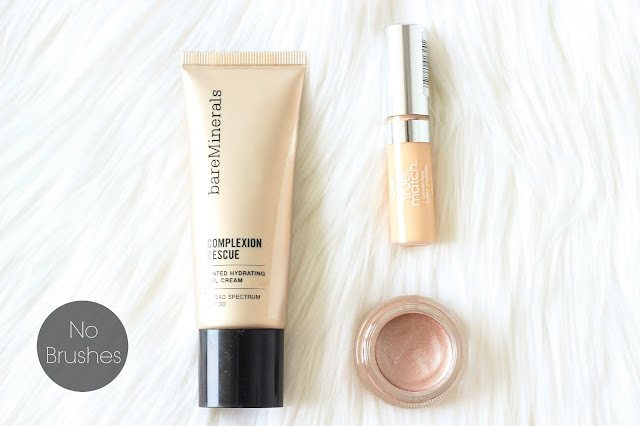 Bare Minerals Complexion Rescue - I love this formula because it's hydrating and blends seamlessly into the skin for a natural finish. It also contains spf for added protection. L'oreal True Match Concealer - I honestly alternate concealers a lot. This one seems to be one of the most blendable from my collection. The small applicator allows for precise control and the thin formula is a breeze to blend. MAC Paint Pot "Vintage Selection" - Oh how I love paint pots! Vintage Selection is literally my go-to for any quick eye makeup look. You can't go wrong with the gorgeous glow it gives your lids. I just swipe a bit on and I'm ready for mascara. I'm guilty of abusing the "one brush" application - meaning that I use the same brush for face powder, blush and bronzer. But hey, if it works, it works! NARS All Day Luminous Powder - I like using this as a setting powder because it has a nice soft finish. Not too matte and not too luminous! Tarte Colored Clay Bronzer Blush - The name says it all! This two-in-one product combines the rosy glow of a blush with the natural warmth of a bronzer. I swish a little all over the face, focusing on the cheeks. Real Techniques Blush Brush - I love this brush for it's multi-tasking purposes. 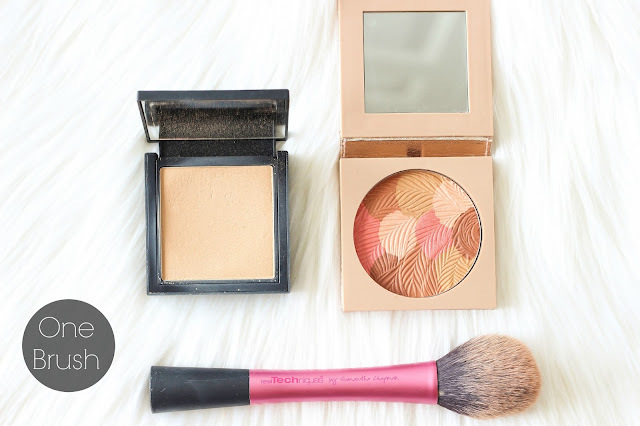 The shape is perfect for blush, bronzer and powders. I could own a million of these! Mascara and a good lippy are always required in my book! I never leave the house without them. Buxom Mascara - Of course, I switch up my mascara choices weekly. 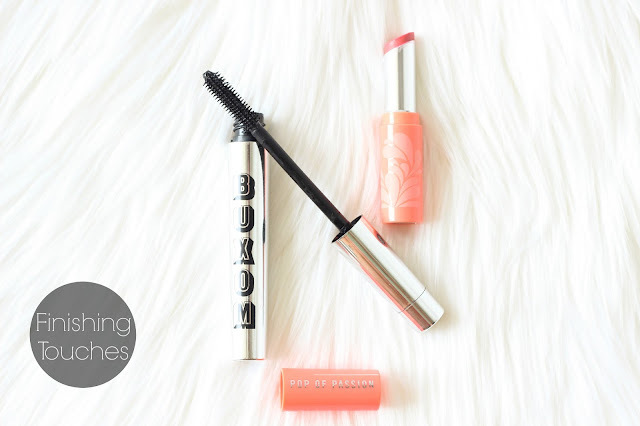 This Buxom one is the latest in my collection and has a natural finish that doesn't weight my lashes down. Bare Minerals Pop of Passion Lip Oil Balm "Peach Passion" - A lipstick is a little too much for me on super light weight makeup days. Tinted lip balms are my go-to! The new Pop of Passion Balms by Bare Minerals come in so many different colors and are comfy on the lips! 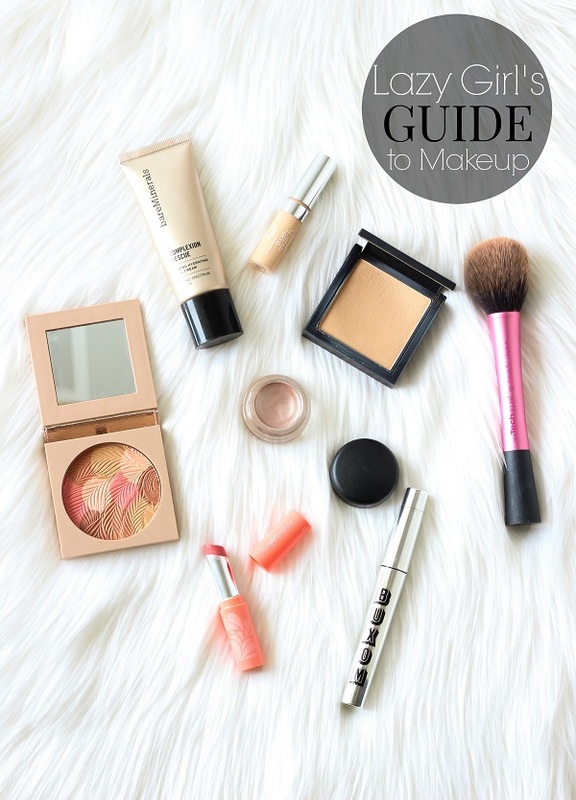 Beautifully natural looking makeup, that can truly be a 5 minute face! Love it. 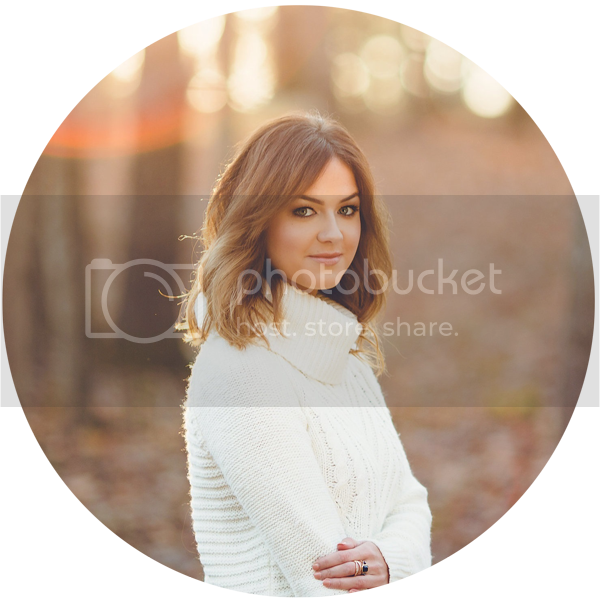 I really want to try out the Complexion Rescue! I admire you that you create such great articles.